Hi! I’m Gracie Gregory, a student and superfan of Flex & Flow’s HIIT & Flow. My boyfriend jokes that I should wear a sandwich board for the class and hand out fliers, pro bono, because I’m such an enthusiast fan. It’s a feat that I got him to join me on the sweaty mat, so it must indicate how great the class is, just saying. Throughout my (mis)adventures exploring a variety of different fitness classes over the years, I learned that trying a new one is extremely daunting to many people. I’m not an anthropologist, but my theory here is that human beings are hardwired to approach new “tribes” with reluctance — we are also competitive and don’t like “being bad” at new things. No, this theory wasn’t developed by observing bonobos in the wild; I’m talking about myself here, and I was certainly reluctant to try HIIT & Flow. My hope is that this blog can be a primer for newbies who have signed up for their first class but feel nervous. I’ll tell you what helped me get on that mat for the first time and what I wish I knew on day one. My relationship with group fitness used to be an open one; I exercise as a way to unwind and check in with myself, so it took years to come around to classes. About three months ago, I moved back to Portland, Oregon from Washington state and the gym in my building was starting to hurt my joints and dull my mind. I was more pliable to new things and therefore taking suggestions from fit friends. When Emma told me to join her at HIIT & Flow, I had no good reason to say no, but the reason you should start is more scientific and fun than that. Let’s get the glaringly obvious out of the way. HIIT & Flow combines two types of movement: high intensity interval training and yoga. If you’re like me before I started, this sounds like an oxymoron. How could bursts of insane plyometrics gel with sun salutations? The answer is, extremely well. You can do it: Although I’ve been active all my life, I never thought of myself as an athlete. Runners run marathons, I always thought– Running for 10 minutes was not an option. But HIIT cuts up the workout into bite-sized and easily digestible pieces. Before you know it, you’re resting again. You’ll commonly hear Flex & Flow teachers say “you can do anything for 1 minute!” during a challenging sequence, and it’s true. You got this. It freaking burns: In a good way, I promise. In the 30 minutes of HIIT & Flow dedicated to cardio, you will Burn. A. Lot. Of. Calories. Of course, this is not the only reason you should try a class, but it’s true. Although you need a heart rate monitor to calculate the precise number, it’s common for people to torch 12-15 calories a minute. Best part? The Afterburn (…which sounds like a Marvel Supervillain.) Since HIIT combines aerobic and strength training, your body will continue to burn calories throughout the day, long after you’ve driven home from class. As your muscles strengthen, you burn through calorie reserves to meet ongoing energy needs. One of the things setting Flex & Flow’s HIIT & Flow apart from a standard cardio boot camp is the rest portion. Instructors will guide you through a power yoga sequence during your hour that lengthens the muscles just worked, lower your heart rate, and prevent injury/tightness later on. It’s truly a complete workout and you won’t feel in need of a gym session later. If you do, you might be The Hulk. When you enter Jamie’s light-filled, airy studio for HIIT, you might think you’re in for an hour of savasana. It’s lovely and calming. Somehow, the studio always feels spacious even when lots of people have shown up to sweat. The best part about my entire experience at Flex & Flow has been the community within the studio. Teachers really go the extra mile (pun intended) to make you feel like part of their family. This isn’t your typical snooty yoga/barre studio or gym (and we’ve all felt intimidated by those joints.) People come here to work but also to feel like a supported part of a group. Teachers know your name, students smile at you, and any question or concern is surfaced and addressed. F&F is always planning a fun event so everyone can hang out in the park, neighborhood, or nature. Even if you don’t come with a friend like I did, you will feel connected. The studio rents mats for a low price if you forget yours and provides free gliders (this is not a type of mini hamburger, though you’ve certainly earned one afterward. More on gliders later.) Students are also welcome to grab a free coconut water, body wipe, hair tie, mint, or skincare sample. There’s a donation jar for when all of this becomes a habit. Believe me, the thought of that coconut water will get you through plank tucks on minute 25! This isn’t hot yoga in the traditional sense. The studio doesn’t have heaters cranked up, because combined body heat will do plenty to loosen those ligaments. Each class begins with 15 minutes of power yoga that will make you wonder if the “high intensity” has already started. I always sweat from the get go. Savor that child’s pose at the very beginning because it will be your happy place shortly. 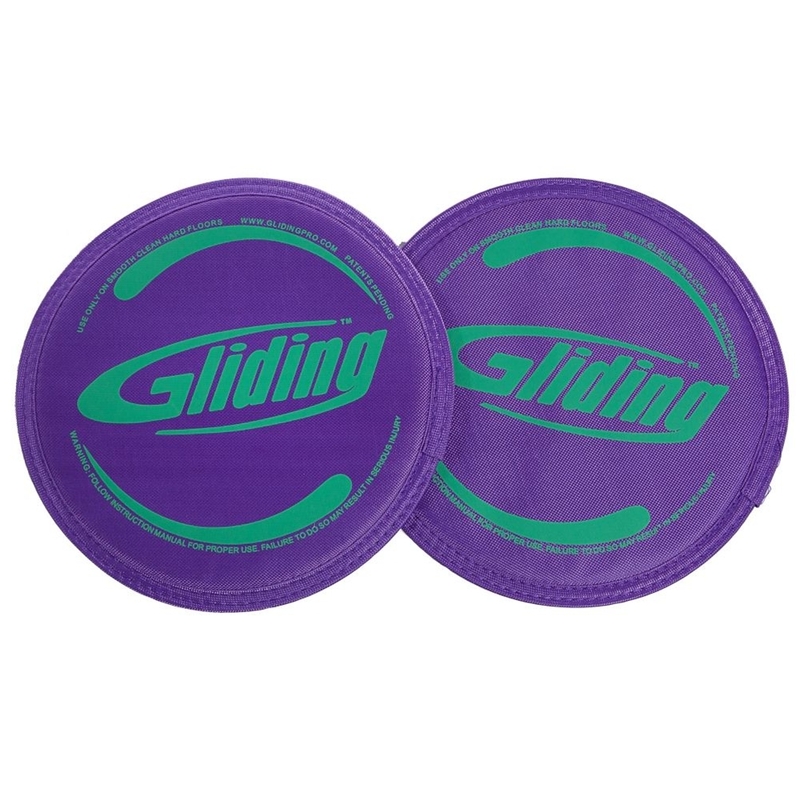 Your teacher will then tell you to fold your mat in half and place a “glider” under each foot. That’s when you know things are about to get real. You’ll be briefed on the upcoming HIIT poses. Each sequence will be prefaced with a description and demo. Don’t worry if you don’t catch everything because there will be plenty of directions in real time. Just get ready to MOVE. Again, be prepared for anything! Just when you think you have all the moves down pat, another variation will be thrown at you. Always remember that the only competition is yourself. If a modification or break is needed, you do you! The instructor will demonstrate easier versions when necessary. Just when you are about to start cussing someone out and cursing the day you were born, it’s time to take it down a notch. You are over the hump! This will be the greatest moment of your life. The rest of the class is yogic and will bring you into a solid cool down, working out any tension pent up during those mountain climbers. As with all yoga classes, HIIT & Flow ends with a cleansing savasana. Who knew laying down with your palms up is what heaven feels like? Beeline for the coconut water! It will be really important to hydrate and replenish the fluids/salt you lost while sweating. Definitely keep a water bottle with you on the days you attend HIIT & Flow because you need more than you realize, especially after a high intensity workout. I try to keep a high protein snack with me when I go to class so it’s nearby. The best thing you can do for your body after a strenuous workout is eat quality protein. My go-to’s are Wild Friends Classic Almond Butter packets, Nancy’s Plain Nonfat Greek Yogurt, and Cacao Banana Rise Bars. Listen to what your body needs for the rest of the day but don’t indulge in junk food just because your body is surprised by a challenging workout. The goal is to get quality recovery so you’re ready to HIIT the mat feeling powerful. NB: Although there is plenty of stretching during class, I try to stretch my hamstrings and gluteus medius a few hours after class. Those two spots get worked hard by HIIT and mine are tight anyway. Which are your tight spots? Mat wipes: Flex & Flow provides mat spray, but when the class is full, it’s nice to have your own sanitizing wipe to avoid the waiting game. Your mat will feel like an ocean of sweat, so wiping it down is non-negotiable. Rock a sports bra/go shirtless if you’re a guy: Nobody cares. This isn’t like a boutique gym where people will give you a side eye if you’re scantily clad. You’ll thank yourself for ditching that t-shirt, trust me. Sunscreen: You’ll have certainly sweat off any layer of SPF applied before class. Even if you plan to go straight home afterward (there’s not really another option when soaked) the sun can get you in moments flat. Don’t skip this! Watch your wrists: Wrist sensitivity is kind of unavoidable in most forms of effective exercise. That being said, this class features lots of planks and holds, which are especially tough on the wrists. To avoid this, you can sub in your forearm or knuckles. To do the latter, your fingers are basically flipped inward instead of out as they would be in a traditional high plank. Just picture making a fist with your fingers in long. It’s pretty instinctual! Cheers to starting your sweat-drenched, exhilarating journey! This is an awesome post – such a perfect description of the class and the energy at FFY – we LOVE having you in the community, Gracie! 💖 to both of you, Jamie & Nicci! SO glad I found this awesome community you’ve built.